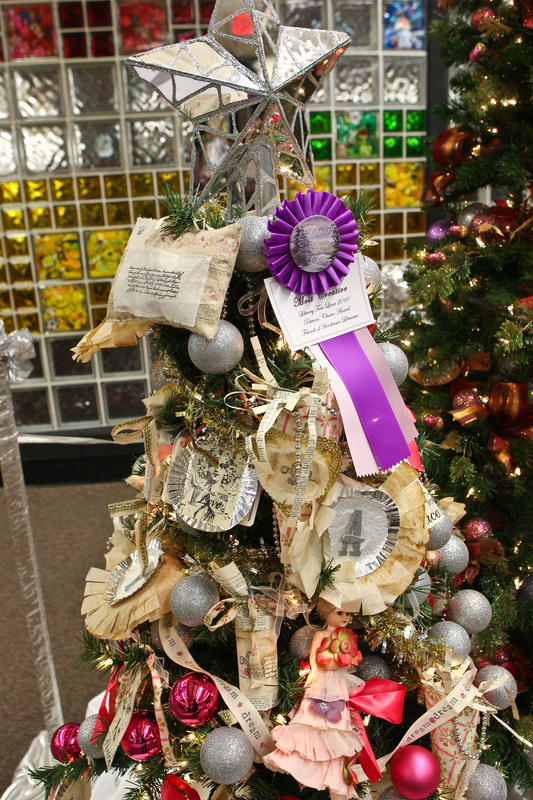 An annual holiday-themed fundraising project by Friends of Henderson Libraries to benefit Henderson Libraries, Library Tree Lane features decorated holiday trees and wreaths which are sponsored by individuals, businesses and organizations throughout the community and then donated and delivered to charities following the gala. The program also offers children’s programs and a special Carr Chat. The celebration culminates with a ticketed gala reception and silent auction. The gala reception features a silent auction with nearly 150 beautifully decorated, themed gift baskets and live entertainment. 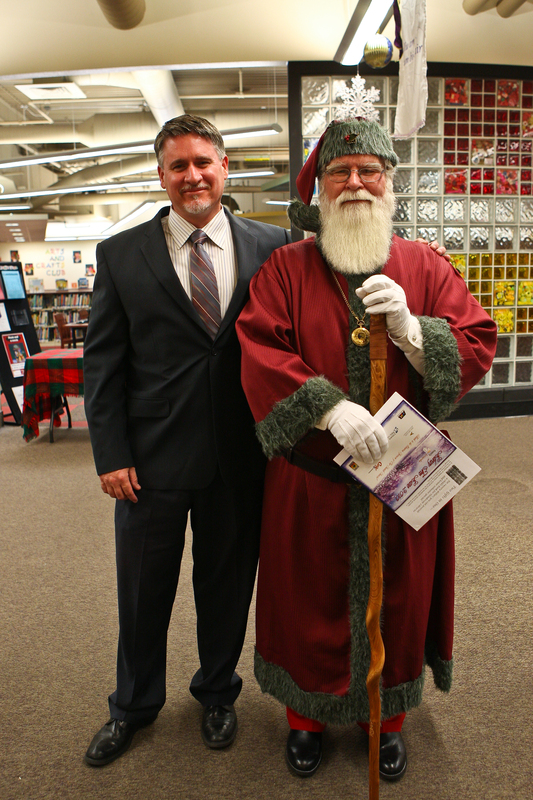 Henderson Libraries executive director Tom Fay takes a moment to pose with Santa Dec. 3 at the Library Tree Lane gala. Capitol North American, Stephens Press, United Studios of Self Defense, Republic Services and the Art Institute of Las Vegas and two other sizeable donations from local families. Hundreds of additional companies and individuals donated prizes for gift baskets and chance drawings. Established in 1943 as a single library in downtown Henderson, Henderson Libraries now operates six locations throughout Henderson. Henderson Libraries cooperates with other public libraries in Southern Nevada, the Nevada System of Higher Education, the Clark County School District and around the state to provide quality service for Nevada’s residents.